Boston product liability attorneys continue to handle cases involving a wide range of defective medical products. Unfortunately this listing barely strikes the surface when it comes to identifying the dangerous drugs and defective medical products currently marketed and sold (often at astronomical markup) to patients in the United States. It’s clear from the sheer volume of questionable drugs and medical products brought to market that neither the scientific review process, not the consequences of enforcement or civil liability, are sufficient to protect the American consumer. Still, drugmakers choose to lobby to change laws and reduce liability by arguing the high cost of personal injury and wrongful death litigation is responsible for the high cost of drugs and medical products, rather than to pour those resources into insuring only safe products are brought to market. There is no requirement that the injured victim prove a drug company was negligent in manufacturing, testing or releasing a drug or medical product that results in serious or fatal injury. As long as the drug was the direct cause of some type of harm, the injured victim is entitled to recover damages in a claim brought under commonwealth or federal product liability laws. Drugmakers can also be liable for failure to adequately warn patients of the side effects or dangers of a drug, which is why we see and hear the long list of potential side effects attached to drug advertisements. Still, in many cases litigation has proven that companies knew of undisclosed dangers or risks of using their products, and emphasis on sales and profits often prevented them from disclosing those risks to the marketplace. Most consumers are surprised, even shocked, to learn that the U.S. Food and Drug Administration does little or no independent testing of new medical products or prescription drugs coming to market. Instead, this behemoth, taxpayer funded bureaucracy, relies upon testing conducted by the drug and medical device makers seeking approval to bring a product to market. Manufactures further skirt whatever testing requirements are in place by seeing approval to market via testing exemptions. FDA guidelines, 21 CFR 807 Subpart E describes requirements for a 510(k) submission, which permits a manufacturer to bring a product to market without required testing by asserting the new product is at least as safe and effective as a “substantially equivalent” to a legally marketed device already on the market. 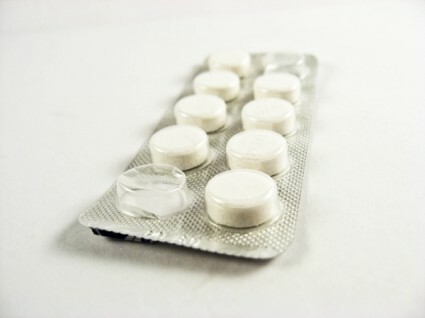 Additionally, federal law also seeks to protect generic manufacturers from liability for manufacturing or distributing dangerous or defective products that are generically similar to a predicate product already on the market. Under a 2011 ruling by the U.S. Supreme Court, generic drug companies cannot be sued for failing to provide adequate label warnings about potential side effects because federal law requires them to use the brand-name versions’ labels. The top courts of Massachusetts and California have ruled brand-name manufacturers could be sued by generic drug users. However, in a Catch-22 that illustrates the standing of the American consumer in the process, a U.S. appeals court recently tossed a $3 million verdict against Glaxo SmithKline after the suicide of a man who took a generic version of the company’s antidepressant Paxil before jumping in front of a train in 2010. The unanimous three-judge panel of the 7th U.S. Circuit Court of Appeals ruled the claim was preempted by federal law and previous rulings by the U.S. Supreme Court. The end result of such a relaxed regulatory environment is hundreds of thousands of lawsuits by consumers who have been seriously injured or killed by dangerous drugs or defective medical products. For the most serious cases that impact the largest number of victims, litigation has been combined into what are known as MDLs (multi-district) litigation. This allows legal discovery and witness testimony to be streamlined under one federal judge. The 18 largest MDLs contain 107,000 individual cases pending before just 15 federal judges. The MDL statute is 28 U.S.C. § 1407 in the United States Code. Section 1407. As we reported recently on our Product Liability Lawyer Blog, the recent focus of defense lawyers and the medical and pharmaceutical industry has been to lobby for more favorable litigation rules by arguing the need to reduce the caseload of federal judges. In particular, they want approval of “bell wether” cases, which are chosen by judges to be representative of the likely result of other cases within an MDL.